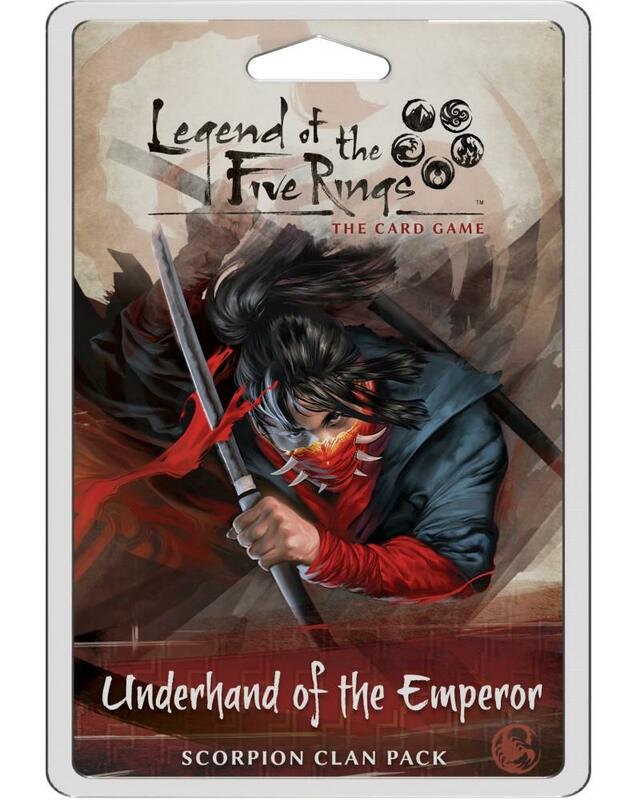 Step into the Shadows with Underhand of the Emperor, a Scorpion Clan Pack for Legend of the Five Rings: The Card Game! Underhand of the Emperor contains 78 new cards (three copies of twenty-five different cards and one copy each of three different cards), many of which focus on the Empires most secretive clan. Underhand of the Emperor expands on the themes of the Scorpion, giving this Great Clan new deckbuilding options that encourage them to toe the line between dishonor and defeat. Look for a new Role card, a Philosophy that prevents you from losing the game, and an army of whisperers, hidden in the darkness.